It's no secret that I loved (and still do) THE WONDER YEARS. Although it slowly spiralled into decline, it remained capable throughout its 115 episodes of tugging on the heart strings when least expected. And the final few minutes of the final episode remains one of TV's finest moments. I found this slightly battered book, many years ago, in a dump bin at London's Tower Records flagship store at Piccardilly Circus (latterly a Virgin Megastore, then a Zavvi and now a fashion store) and snapped it up. It remains the one-and-only time I have ever seen a copy of the book on sale anywhere. The curse of these TV tie-in books is that - generally - they are only published when a show is hot. Therefore they only cover the early episodes and publishers have little interest in an update once the show has been cancelled and a comprehensive overview becomes possible. The same is true here. 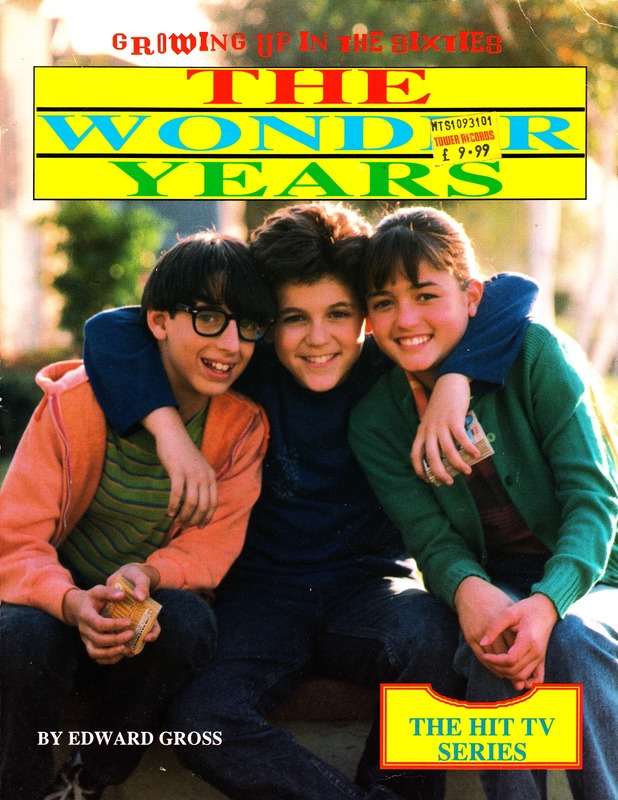 The unofficial tome, published in 1990, only covers the first fifty-odd episodes. Edward Gross is a fine writer of TV tie-in factual books but the production standards of the book leave a lot to be desired. The cover and interior layouts are both pretty amateurish and it would have been possible to condense the text into far fewer pages if the font had been smaller and the liberal quantities of white space better utilised. Access to photos was also clearly limited, although given the quality of the printing, it's not a massive loss. Being unofficial, Gross' access to the show, cast and crew is obviously limited but he does at least offer some insight into the creative process. 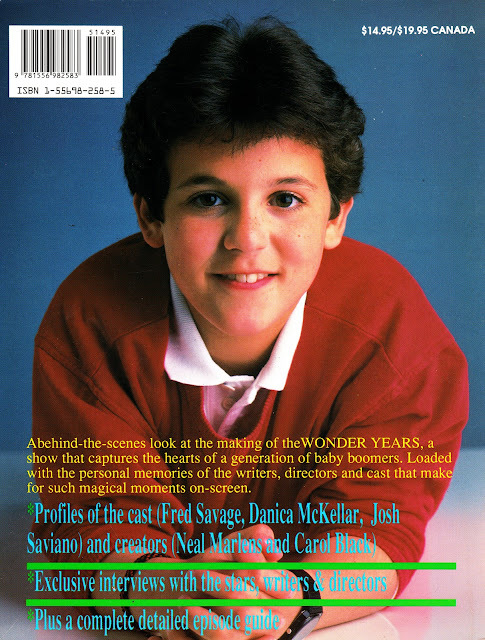 THE WONDER YEARS itself hasn't been treated well in the subsequent decades. Although it has been repeated on various channels a few times, it seems that New World's initial music licensing deal wasn't permanent as reruns often feature music substitutions which can wreck the emotional impact of the scene (I tried watching a rerun of the final episode again - years later - and I was horrified to find that the piece of instrumental music playing under that poignant final scene had been unsympathetically replaced). The same music rights problems have scuppered any form of DVD release.